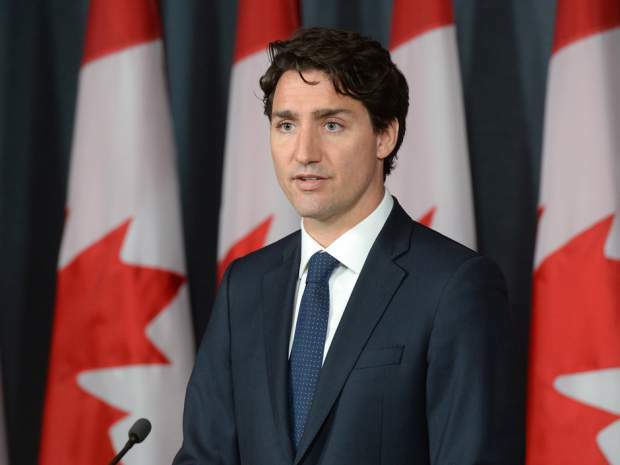 OTTAWA — Prime Minister Justin Trudeau has announced that the Liberal government will change the manner in which a Supreme Court justice is selected. As part of the new process, Trudeau says former prime minister Kim Campbell will chair a new “independent and non-partisan advisory board” to recommend candidates for the high court. He said the application process will be opened so any Canadian lawyer or judge who fits such criteria as being functionally bilingual can apply for the high court. Once a candidate has been selected, writes Trudeau, members of Parliament will be able to “directly engage with the nominee” before she or he is appointed to the Supreme Court. The board to be chaired by Campbell will have seven members. Four will be designated by the Canadian Judicial Council, the Canadian Bar Association, the Federation of Law Societies and the Council of Canadian Law Deans. The remaining three will be prominent Canadians, at least two of whom will be from outside the legal community, appointed by Justice Minister Jody Wilson-Raybould. end the Government's ability to control directly and indirectly who is appointed as a judge. The Canadian Judicial Council is a corrupt organization to prevent complaints about judges. The Federation of Law Societies and the Canadian Bar Association are politically correct organizations who are more interested in the ability of lawyers to make money rather than justice. The wild card is the Canadian Law Deans who while having tenure are generally political animals who refrain from speaking out. Justin Trudeau fails to tell us that there will be any real investigatory process such as is used in hiring police officers or airline pilots which require a psychological assessment. It is that lack of a psychological assessment that allows the worst of the worst of humanity to become Judges and leave a trail of destruction. It is highly likely that the one of the worst of the worst will become a judge of the Supreme Court whose decisions are generally as predictable as tossing a coin, and often divided on Gender lines. The ability of members of Parliament to "directly engage with the nominee" appears to be an idea rather than final policy. Justin Trudeau is unlikely to address the chronic abuse of judicial power based on Gender in the Ontario Courts.